Please see our group members page for links to the webpages of the authors. 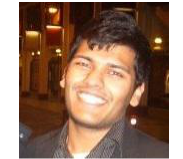 Congratulations to Amar Shah for winning a Qualcomm Innovation Fellowship! The fellowship includes an amount of £10,000 to support the researcher for the academic year. Information about the fellowship can be found here.